I've found that New York City's early morning has some of the best light and resultant shadows which is this month's overarching theme for Photo 52. 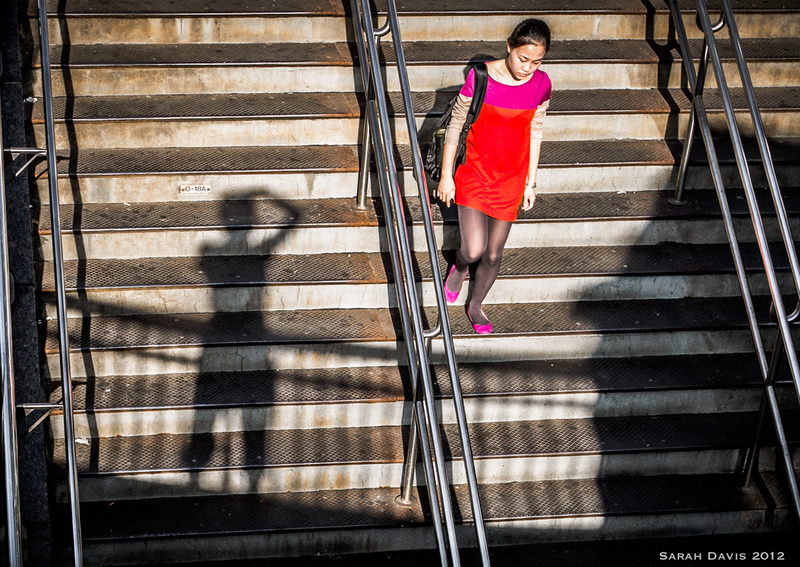 Standing on the balcony of the Columbus Circle train station during a brief moment when the stairs weren't mobbed with people, I was able to capture this young woman in her colorful dress and shoes heading down into the subway. Next up in our blog circle is the exceptionally talented Lisa Rigazio. Please continue along the chain to see her latest take on shadows by clicking HERE.